The Maroons will leave the Midway for Broadway this weekend as they look to put on a show against their conference rivals at the UAA Championship in New York. After only three short weeks of outdoor preparation, the South Siders will compete in their most important meet of the season. Last year, the men’s and women’s teams both placed fourth. Since then, the Maroons have picked up a talented first-year class and gained more experience on the track. Chicago has been working toward this weekend for a long time. 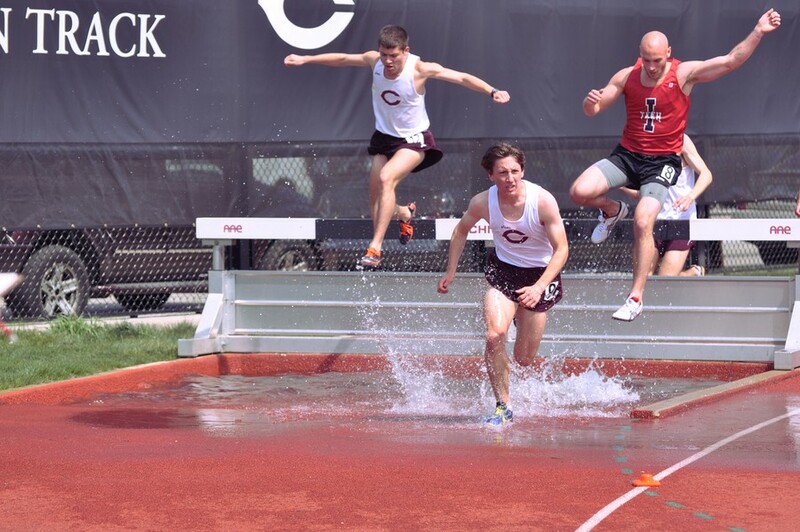 While the outdoor season may be short, the Maroons simply view it as a continuation of the indoor season and another shot at a conference title. Whitmore will compete in the 5000m and 10,000m for Chicago. He currently has the eighth best time in the nation in the 5000m. The Maroons showed progress from last year during the indoor season, placing second in the conference on the men’s side and third on the women’s, but Chicago has its sights set on a conference title. Carnegie, Wash U, and Emory, along with Chicago, hold the strongest squads going into the conference championship. On the men’s side, Carnegie beat the Maroons by about 50 points during the indoor championship, with Wash U and Emory nibbling at the Maroons’ heels. For the women, Emory edged out Wash U by one point to steal the title, while the South Siders trailed by just over 30. These margins will be no easy task for the Maroons to overcome. The Maroons’ travel squad consists of 24 men and 24 women. Unfortunately, not everyone can travel. “[We had to decide who could travel] by looking at the UAA honor roll and evaluating who was in the best position to score,” Hall said. The Maroons currently have 25 athletes ranked in scoring positions on the men’s side and 31 on the women’s. If these rankings prove to be accurate, which is a big “if,” both Chicago squads can expect to finish around third place. In the best-case scenario, the Maroons will win the conference title on both sides. Realistically, this will prove extremely difficult. The quantity of points the Maroons would have to make up is just too vast. Rather, another second-place finish for the men and third for the women seems more likely. Whatever the outcome, the Maroons recognize this will be the last time they will compete as a team this year. After UAAs, the teams’ focus will shift to qualifying for Nationals. This fact is especially poignant for the fourth-years on the team, who will be competing in their last conference championship. The work, time, and effort have been put in. All that remains is for the curtain to be drawn, and for the Maroons to perform the act they have strived to perfect all year long. “I am always proud of the athletes that I work with at Chicago. I have been here for 12 years and have grown to expect great work ethic, desire…. We are on a campus of over achievers willing to work hard to succeed. This team has been very much like the others I have worked with and I do expect them to perform well this weekend,” Hall said. The UAA Championships get underway at 9 a.m. tomorrow morning and continue at the same time on Sunday on Randall’s Island in New York, NY.